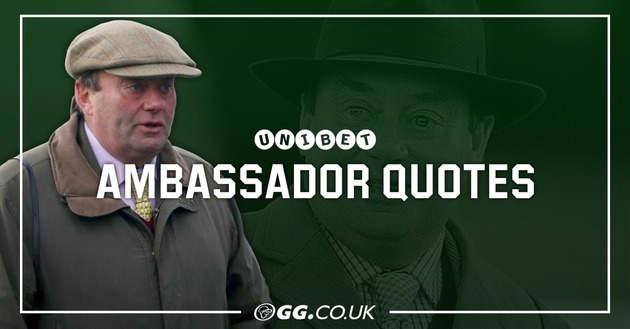 Unibet Ambassador and top trainer , Nicky Henderson answers questions sent in by racing fans to his @sevenbarrows twitter. Check out his thoughts on Santini, Rather Be and more..
What’s the news on Rather Be? He’s very well, thank you. As you know he’s very ground dependant but he’ll be given an entry in a couple of races at Cheltenham and I’m tempted to step him up to three miles. Hi Nicky, I’m a massive fan of Santini and followed him for a while now. How is he at the moment? He is very good and schooled beautifully on Thursday and worked 10f this morning with Nico in the plate. The plan is to take him to Ascot for the Reynoldstown next weekend - assuming it’s on of course! How has the outbreak of Equine flu affected your horses and your ability to train them? Also do you believe that the measures are precautionary and expect racing to be back soon or think the situation could potentially be very serious like that in Australia in 2007? I am very lucky that we train on our own patch, ie there is no stable next door and we have our own gallops which obviously makes it harder for viruses to spread, so we’re very lucky in that respect. Do I think the measures are precautionary? Probably yes, but we HAVE to take precautions otherwise the flu could easily spread so it is extremely important that every single horse is tested. All of ours were nasal swabbed this morning and the findings are already in Newmarket but I don’t expect we will know anything for at least 48 hours. I really hope it doesn’t get as serious as Australia, and in all honesty I don’t think it will. Every single race horse is vaccinated but it’s worth noting that, that only equates to 40% of the whole horse population. The hunters, ponies and happy hackers etc are not vaccinated against flu so many are rife with it which makes it’s very hard not to bump into it somewhere. From our own point of view it’s business as usual and we’ll continue to train them as normal. What was/is the slowest horse you ever trained? That’s a good question! But the first horse who springs to mind is Santini. When he came two years ago I sent back him home to Richard Kelvin-Hughes and said this horse isn’t related to a thoroughbred as he couldn’t make it once up our All Weather gallop because he was so slow but Polly Gundry won a Point to Point with him and by some good fortune he found himself back at Seven Barrows and the rest, as they say, is history. Brownes Gazette was also a real slow coach and I thought he was rubbish. I didn’t even go to see him when he ran in his first Bumper as I thought I’d be embarrassed but he won half the track at 33/1. We’ve had plenty of slow horses come through the yard, many actually were slow and couldn’t do it on the track as well, but I really love the ones that show absolutely zilch at home but come alive in the afternoon. Terrefort is another that fits into that category. The only horse that is fast at home and fast on the course is Altior! Can you give a likely destination where Birchdale runs at Cheltenham please? It’s still slightly undecided and I’d like to get another run into him as I thought he still ran quite green at Cheltenham. JP has a very strong hand in this division so we may find ourselves swerving towards the Albert Bartlett where I may also run Downtown Getaway after he has run at Haydock next week. Dickie Diver could also run in the Albert Bartlett but will run beforehand if I can find the right race. He is absolutely fine and will do his first piece of work since his wind procedure tomorrow. Hi Nicky, I’m a big fan of Mister Fisher and think he will be very high class. Is it nearly certain he will run in the Supreme? It is pretty much certain, yes. He has so many gears, so does Angels Breath. Will there be another chance to get a run into Angels Breath before Cheltenham? There was a 2m Novice Hurdle at Newbury on Saturday where he would have had a 10lbs penalty and to be honest if the meeting was on, I would probably have run him so if they restage that fixture and it gives us enough time before Cheltenham, he could still go there. Nicky, what’s the plans for Epatante? She worked with Verdana Blue (who runs on the flat next week) and was absolutely fantastic. I need to give her another outing before the Mares’ Novices’ Hurdle. What’s next for On The Blind Side? I want to stay at a low level with him for the time being. He won well at Kempton but he needs a lot more experience so I wouldn’t expect he’ll go to Cheltenham and instead wait for Aintree. Will Champagne Platinum be going to the Festival in the Supreme with JP McManus buying Fakir? I speak to JP most days and we’ve discussed which horses we’d enter in each race, so they are all in everything! As for definitive plans, I really don’t know yet. Barry is mad about this horse and as he’s only ever raced over 2m the Supreme would seem most likely but JP has such a strong hand in everything, I really wouldn’t like to say either way. Hi Nicky, how is Clarendon Street after his run at Market Rasen? He’s ok but not 100% and he’s not qualified for the EBF Final so we’re going to have to sit still with him for a little bit. Hope Daphne Du Clos is well after her first run back. Are you looking to get another run into her before hopefully a tilt at the Mares’ Novices Hurdle at Cheltenham? Yes definitely, and you’ll see a different Daphne next time. But she will have Epatante, Lust For Glory and Elusive Beauty to contend with in the Mares Hurdle as well! Hi Nicky, how’s my favourite horse Ok Corral and is he going straight to the four miler now? That is the plan, yes. Derek O’Connor will ride him. How confident are you that Buveur D'Air can retain his Unibet Champion Hurdle crown against the likes of Apple's Jade and Laurina? I showed Buveur D’air a video of Apple’s Jade winning last week and he didn’t look the least bit worried – he said she’s a proper three miler! Laurina is the intriguing one and it will be interesting to see what she does before Cheltenham. Seriously though, they are both big dangers but I wouldn’t swap Buveur for any of them. I don’t have too many to be honest but Whatswrongwithyou looks the likeliest Grand Annual candidate as he wants a fast run 2 miles. Lough Derg Spirit is really improving and has a nice mark for the Close Brothers which we came agonisingly close to winning last year with Rather Be. 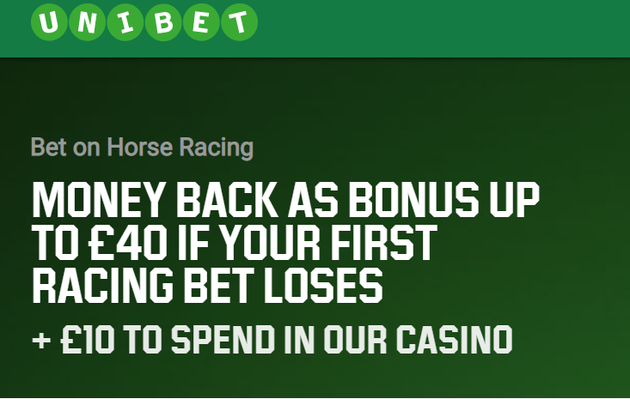 What’s the first choice at Cheltenham for Champ? At the moment it’s looking almost certain to be the Ballymore. Grech and Parkin (@GrechParkin) are fantastic on here and are very open with their plans. They deserve a Festival winner so who do you think their best chance would be this year? They have some lovely horses and I think Lust For Glory has a great chance in the Mares Novice and Lough Derg Spirit in the Close Brothers. River Wylde and Mr Whipped are also on their way back and I’m looking forward to taking them to Aintree all being well. Where do you think Terrefort will go next and could the Grand National be on the agenda? He’s not entered in the Grand National this year but could come into the equation next year. The Gold Cup is still a possibility as I thought he ran well in the Cotswold Chase and he’ll definitely come on for it. Firstly thank you taking the time out to liaise with your fans, appreciated. Which Juvenile horse are you most looking forward to running at Cheltenham? Fusil Raffles is a nice horse and has been ready to run for some time but Laskadine is a very smart filly who won at Warwick, not that impressively I hasten to add, but I know the reason for that and I’m looking forward to getting her out again. I’m not sure whether she’ll run in the Triumph because JP already has the top two in the market for that, but wherever she goes, keep an eye on her!